I must say this year is going to be so amazing and awesome! I can’t wait for it all. 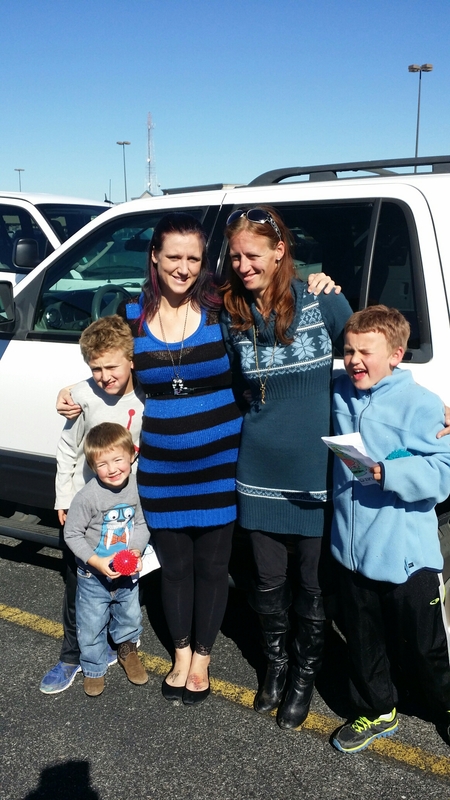 Our Christmas holiday was great to say the least. I am gonna post later this week on that. For now I want to share some of my awesome new adventures in the kitchen. I love cooking anyways but I have been doing a lot more new recipes and all lately. 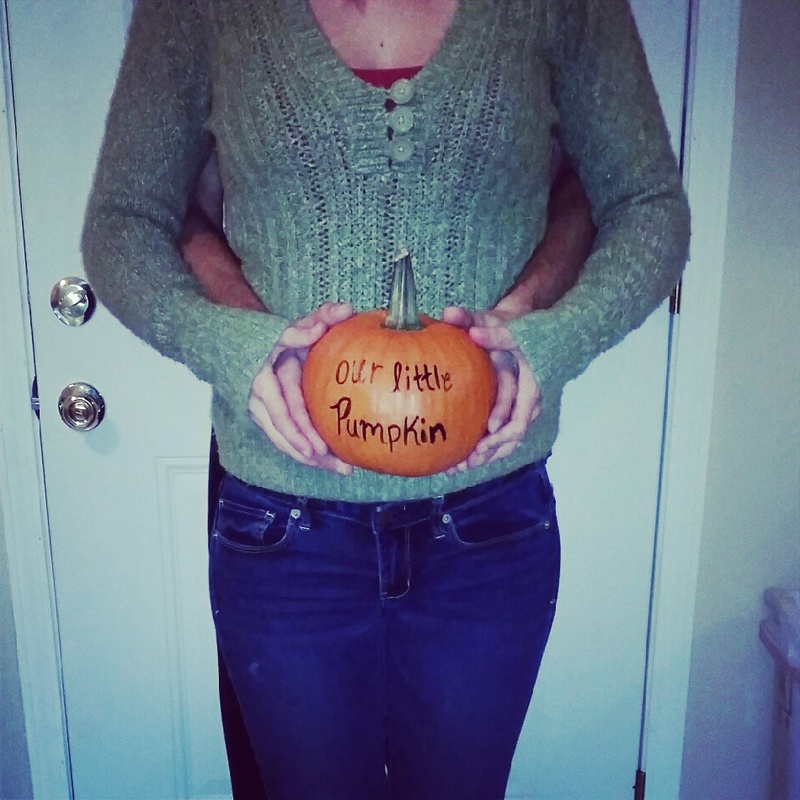 I think it is because I am about to have this baby girl so I know for a while I won’t be cooking. It will be easy and quick meals. So here are 2 of the new recipes. Cook chicken & shred. Meanwhile chop broccoli unless you bought it already chopped. Mix all ingredients together. Transfer mixture to slightly grease 2 qt. casserole dish. Heat Oven to 375. Cook for 30 minutes or until Bubbly. And the most important part. SERVE WITH RICE! This is SOOOOO AMAZING! Ps My love took this for lunch and made a sandwich and said it was soooo good that was too. ENJOY! 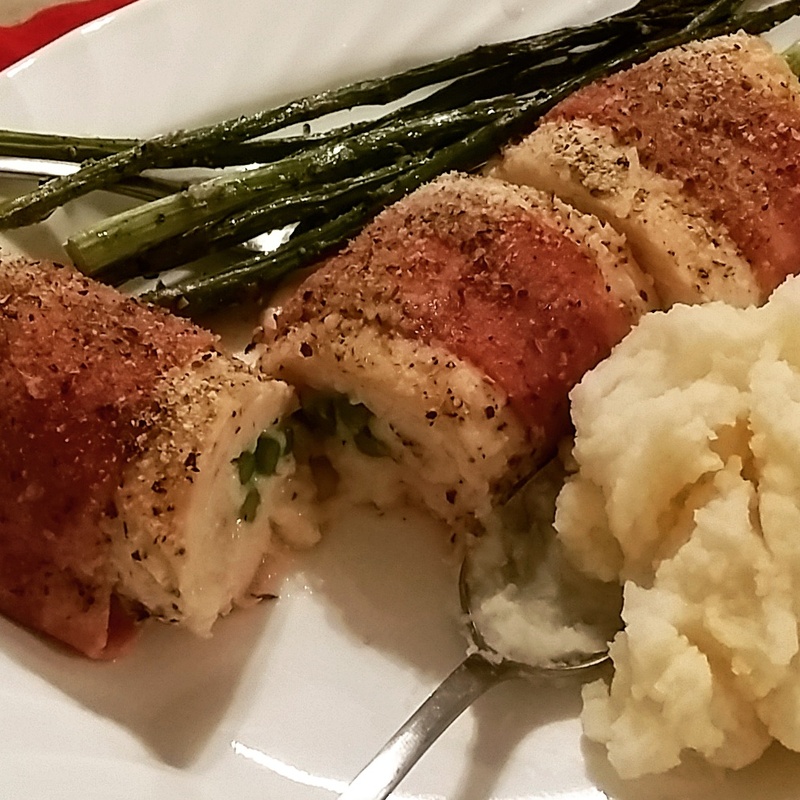 Next Recipe is: Bacon Wrapped Asparagus & Mozzarella Stuffed Chicken Breasts. Okay measurements for this are hard since I played it by ear. It is easy and all by preference. I do a chicken breast for each. 2 slices of bacon for each breast. 4 aparagus spears for each breast. Mozzarella Cheese, I would say 1/2- 1 cup. Whatever your preference is on how much you want inside chicken. Preheat oven to 375. Grease baking pan. Pound each breast with flat side of meat mallet til about 1/4 in thick. Sprinkle with salt & pepper on each side. Place 4 spears of asparagus down center of chicken breasts and spread mozzarella cheese over asparagus. Repeat with all chicken breasts. Roll the chicken around the asparagus & cheese in a tight tidy roll, wrap 2 slices of bacon around each breast. Then place into dish seam side down. Sprinkle each breast with about 2 tablespoons of bread crumbs. Bake in oven til juices run clear. about 30-45 minutes. It is no secret that I love baking & cooking. Specially trying new recipes or techniques. I have had a few new adventures in these areas lately. My baking adventure was for my bestie Jamie. She is currently pregnant with her 4th baby, a boy. His theme they chose for him is Eyeore. 🙂 I know so cute right. 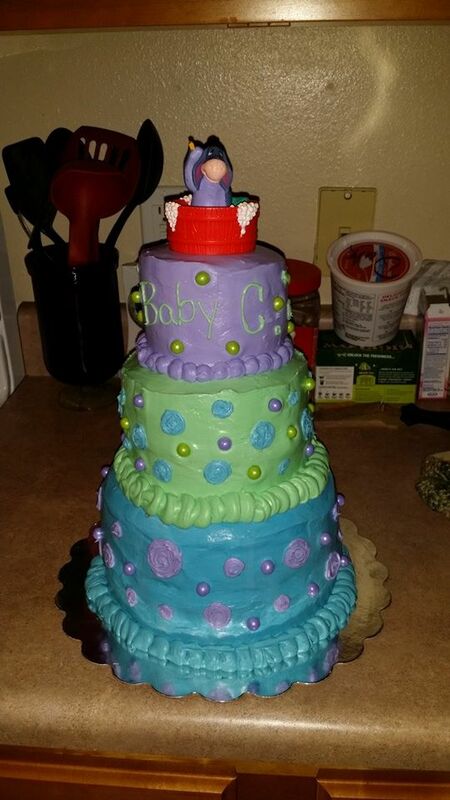 Well I made the cake for her baby shower. Now for my cooking adventures. I have made 2 new recipes recently. 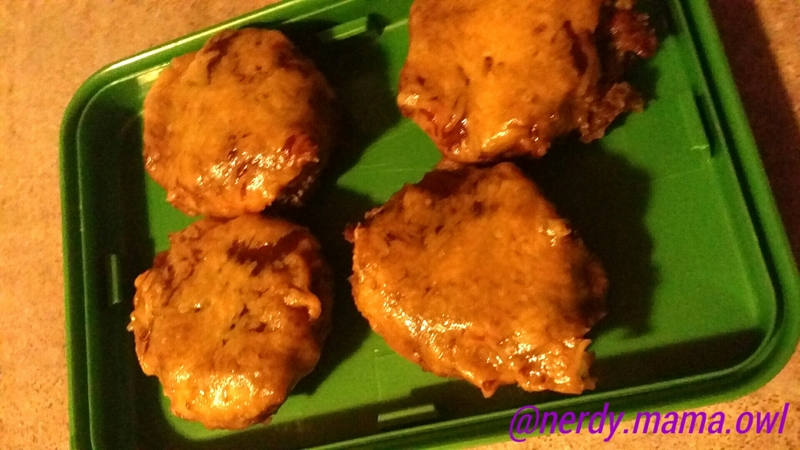 Here is the picture of some the Cheddar Bbq Meatloaf Cups. Combine egg, salt, pepper, garlic powder, parsley, worchestershire and onion in a large bowl and mix well. Crumble ground beef into bowl on top of egg mixture. Add bread crumbs and gently combine all ingredients with hands, taking care not to over-work the meat (don’t “squeeze” it through your fingers). Divide meatloaf mixture into 9-10 cups of a muffin tin. Using the back of a spoon, press meatloaf mixture firmly into cups then create a shallow indentation or divot in each (no more than 1/4-inch deep). Bake meatloaves at 400 degrees for 20 minutes. Remove meatloaves from oven. Pour off any excess grease if possible (I did this easily by tilting the pan) or use a clean paper towel to blot it up. Add about 1 tablespoon of barbeque sauce into the divot of each meatloaf. Sprinkle meatloaves evenly with cheddar cheese. Return pan to oven and continue cooking until cheese is bubbly. Remove from oven and serve immediately. *Use lean ground beef because the excess fat won’t have a way to cook away from the meatloaf cups in the muffin tins. 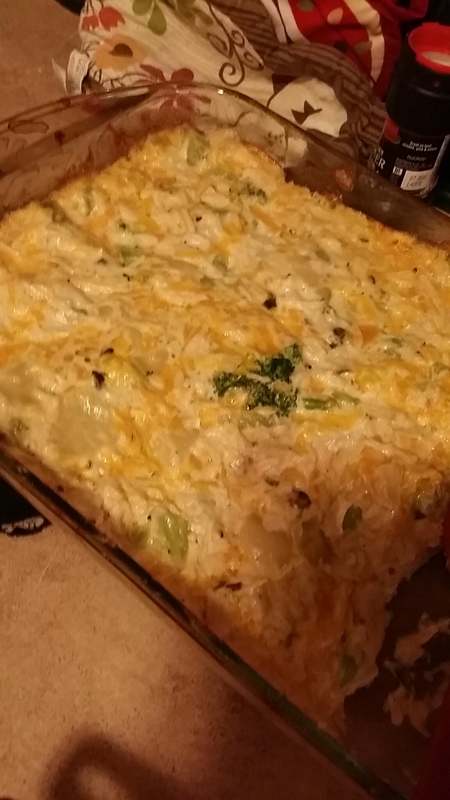 My second recipe I tried I made it the day I was working on the cake and then I had my son running around lol plus my fiance was in bed super sick, borderline ER visit. So it was perfect for a hectic day. But it was so delicious. 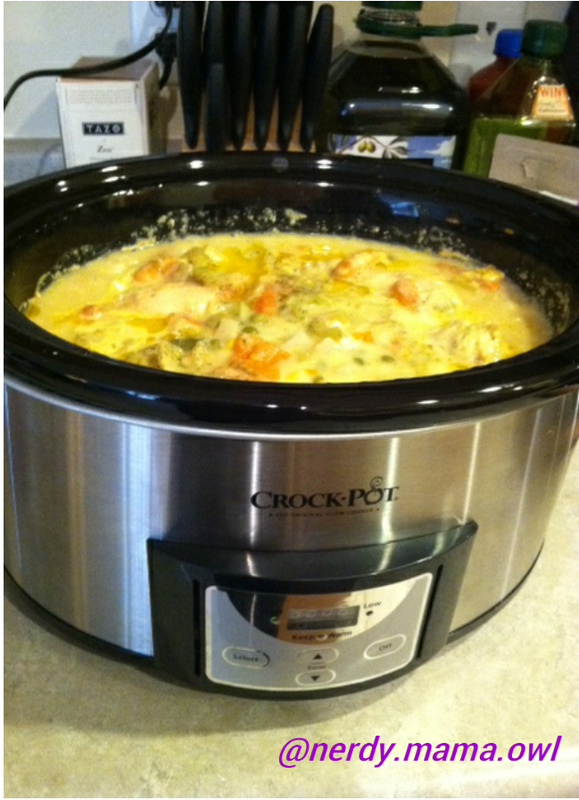 It is called “Creamy Chicken & Rice Crockpot Recipe” This is a simple & easy. It is a crockpot recipe. 1 cup instant Brown Rice or white. Turn your Crock Pot onto high. Place the chicken breasts into the bottom of the crockpot. In a separate bowl, mix up all the other ingredients, except for the rice, to create a chunky, creamy sauce. Pour this over the chicken in the crock. Cover and leave to cook on high 4-6 hours. The chicken will become more tender the longer you let it cook! At 3 or 4 hours I shredded up the tender chicken with 2 forks and stirred in the rice. Note: Use 1/2 cup more rice if you would like a thicker consistency. Recover the crock, leave it on high, and let it cook for about 1 more hour. Once the rice is nice and soft (and has soaked up a lot of the liquid), dinner is ready to be served! This recipe came out to the consistency of a thick and hearty stew. Served with a small salad & bisquits. So yummy! I no leave you & your family with ✌Peace, Love, &Happiness from Owl Family to Yours. Did you get a trick or a treat? Hello There! I feel like Dorthy. Oh you know from Wizard of Oz. I went to bed at my home in Florida. However I seem to woke up in a FREEZING state. Hmm..what happened to my warm Florida weather. Oh that is right Fall is here. TIme for warm fires, hot coco, hoodies, & boots. But seriously, we have freezing warning tonight. Well how was everyone’s halloween? My day was horrible. But I won’t hash that out on here. As you know I live my like with Positivity. The good part is that after work and that horrible day I got to come home to a amazing man and we got to take Xavier trick or treating. 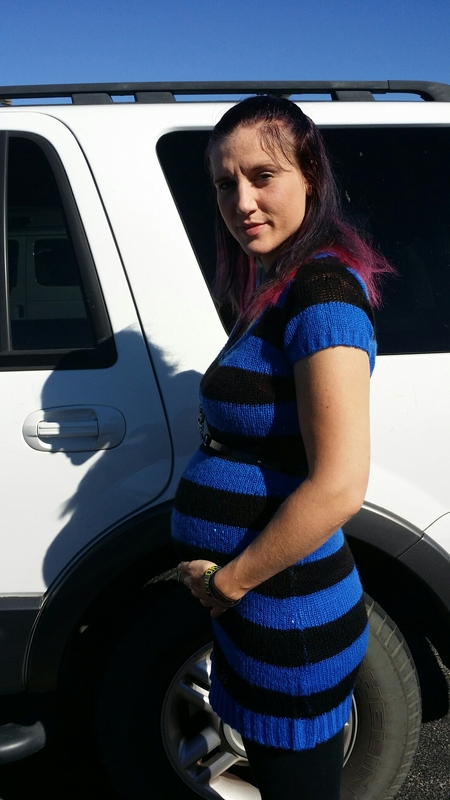 My outfit didnt work since my pregnant belly is Popping out finally. 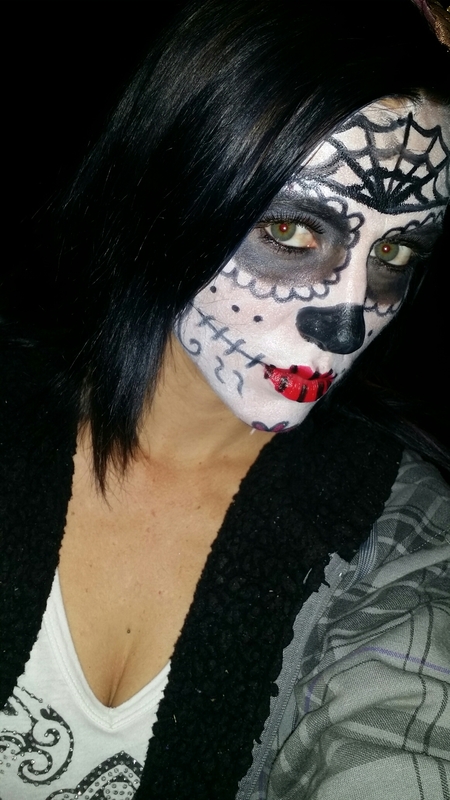 But I did do my Sugar Skull Make up. 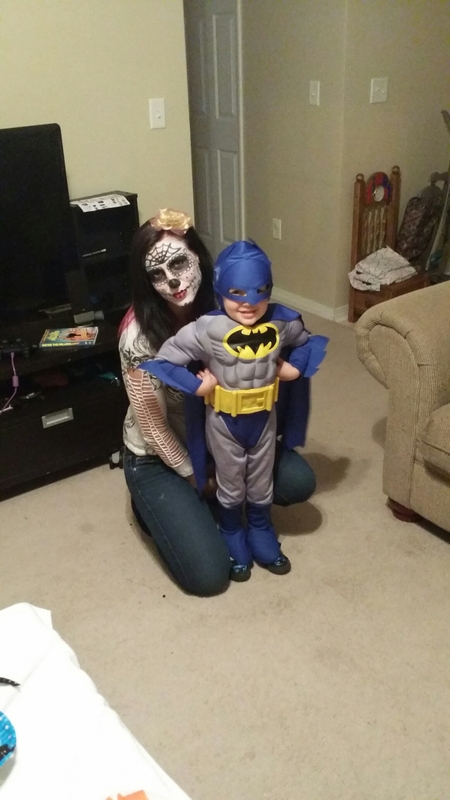 My son was his favorite character, BATMAN! He was also batman last year. Which he wore the costume twice. Hey SAVED me some money. Plus last year my dad had to go to like 5 stores from My town to almost 2 hours over to find the Batman costume my son wanted. Because he said it had to be the one with muscles. So getting 2 years of wear and play out of it is perfectly fine with me. 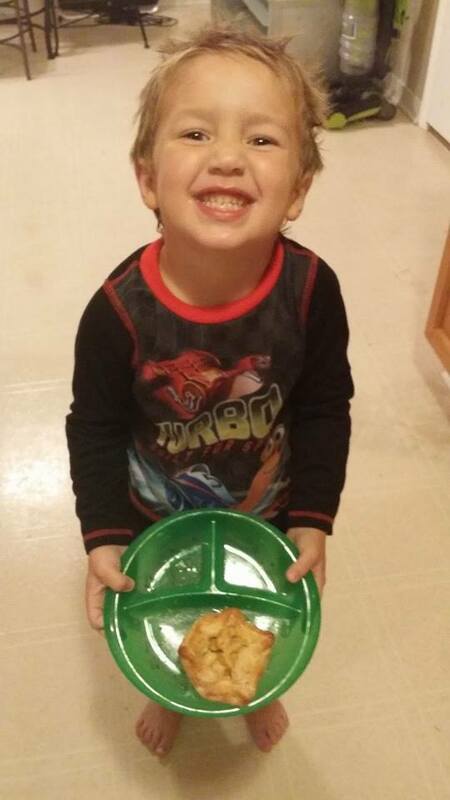 This year since my son is 3 he was all excited to go trick or treating. At each house those he would use his manners, which makes for a proud mama. But he also would turn and ask us if we were going to get more. Each time we would respond with yes lets go to the next house. Took 3 blocks before he stopped asking. Priceless! As you know I am a crafter as well as a hands on mom. The night before halloween. We did some painting and crafts. We made a pumpkin stamp from a potato. 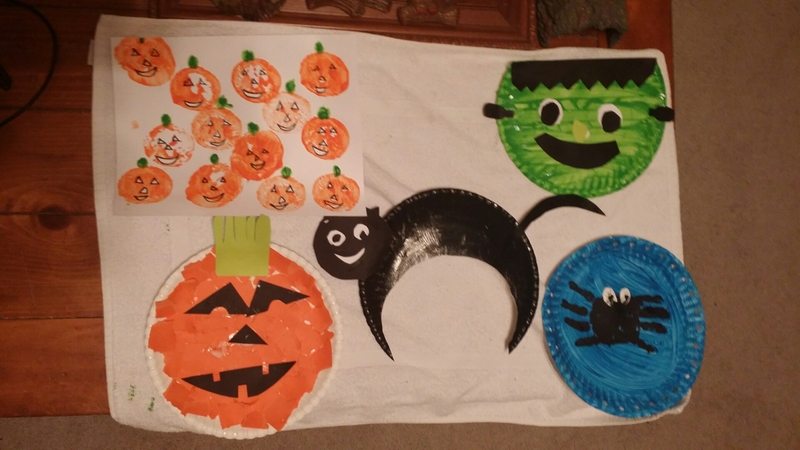 We make a Frankenstein, black cat, pumpkins, & a spider & web. The weeks was full of fun. 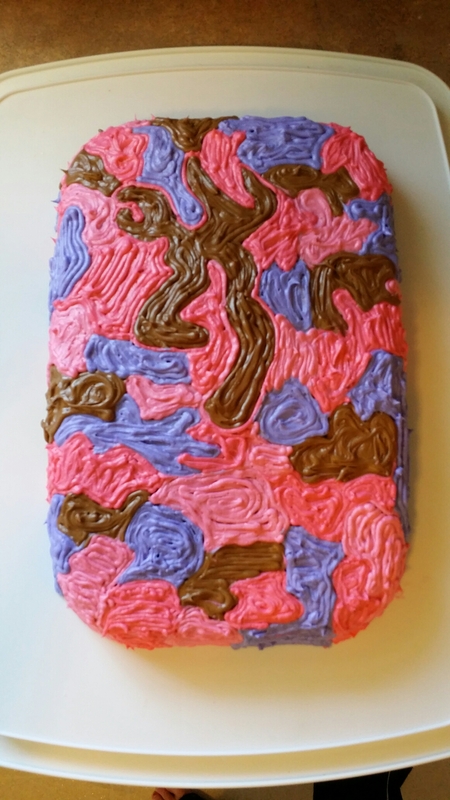 It was my sisters birthday so I made her a girl camo cake. The boys had their soccer & football games. Those went great! Anthony was picked for all star team. Which only the best players get picked for that team. I am SUPER proud of him. Both boys for their great jobs at their sports. I kept them Saturday night and we had pizza night.. seems to be tradition in our family. 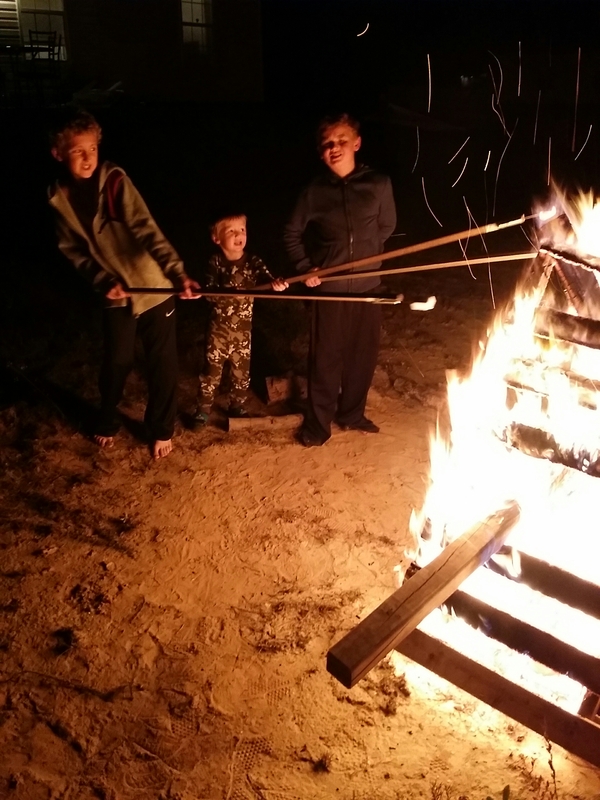 We also had a BON FIRE! Sorry I love bon fires. My country girl comes out. Even made smores. I live in the country so it was a stary night with a warm fire & I relaxing next to the fire in my hammock. I was in HEAVEN! We also got our branches and rocks picked for our Thankfu llTree! Which I will explain tomorrow on that. 🙂 But for now I am gonna go to bed. Its almost midnight. Sweet Dreams! Peave.Love.& Happiness to you all! I am a very busy woman. 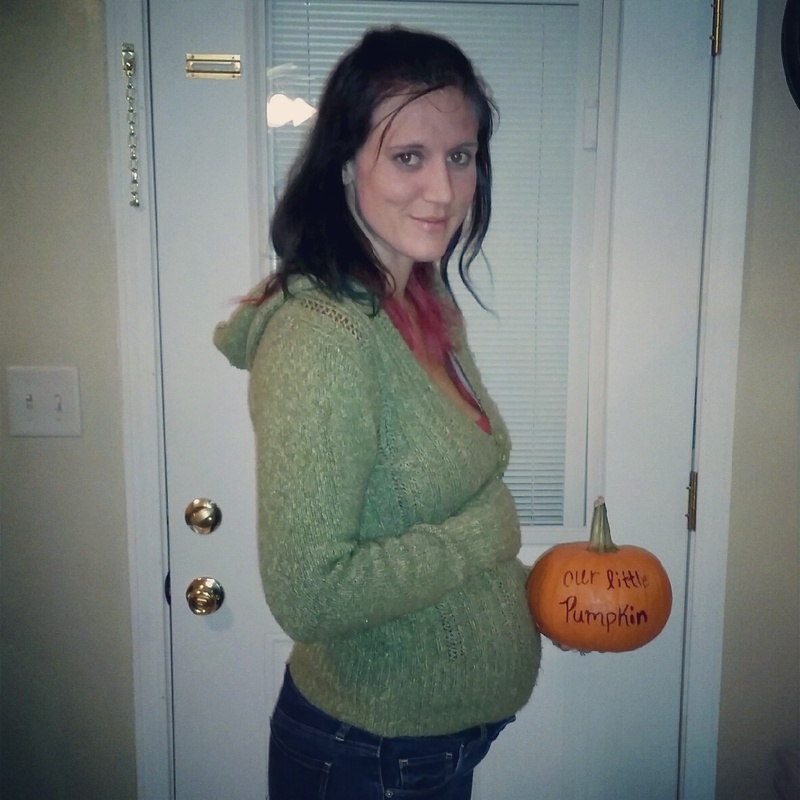 Between being a full time mom to a VERY energetic 3 year old, I am a full time nurse, then I care for our MANY pets, I also am currently 6 months pregnant, plus taking care of my amazing fiance, our home, and fulfilling the orders I get for my crafts I do. Which I LOVE my busy crazy life. It is always go go go but it is making memories and having a blast on this beautiful adventure & would never want to change it. This being said I do love it when I can get meals cooked fast, even better if they are on the healthy side, & easy. The dinner we made yesterday was just that. Actually it was made by my son with very little help from me and with my supervision of course. 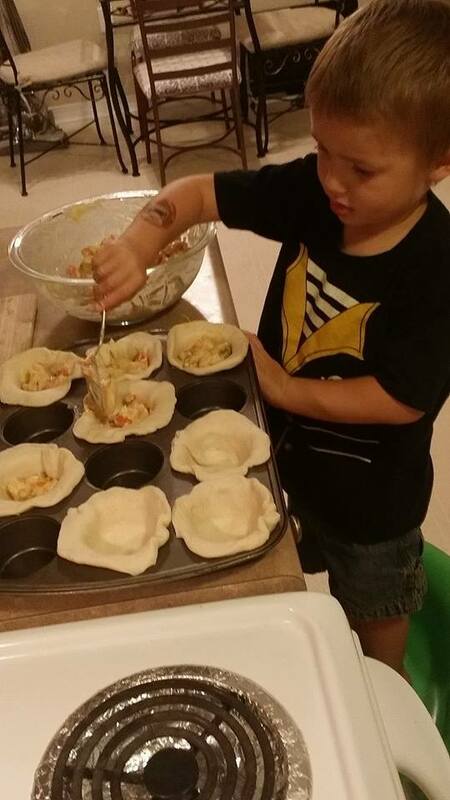 We Made “Mini Chicken Pot Pies” Now this can be adjusted easily to customize your meat you choose, including no meat at all, customize your veggies, & the soup you use. Also budget friendly. Preheat the oven to 375. Grease a muffin tin. 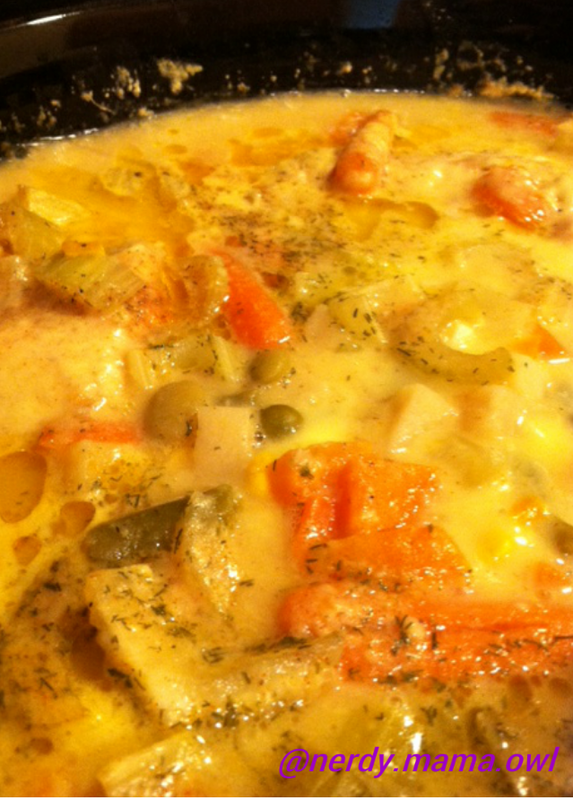 In a medium size bowl mix the chicken, cream of chicken soup, & can of mixed veggies. 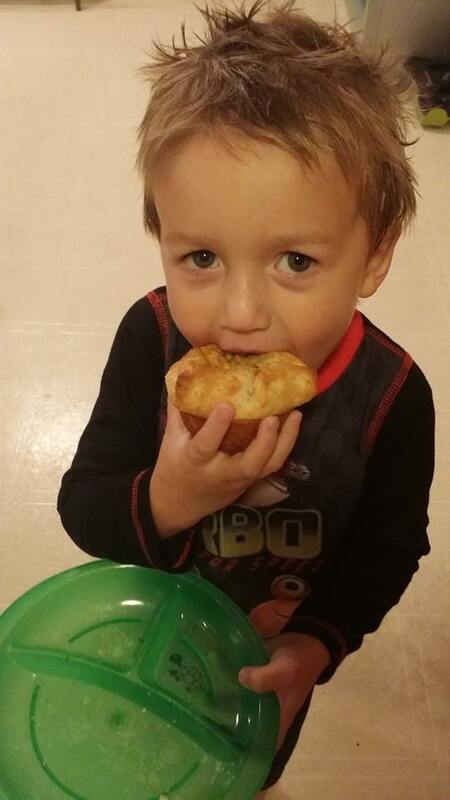 Roll each biscuit out into bout 5 1/2 in round. Place each in muffin tin, firmly pressed on bottom and sizes. Spoon the mix into the cups bout 3/4 way full. 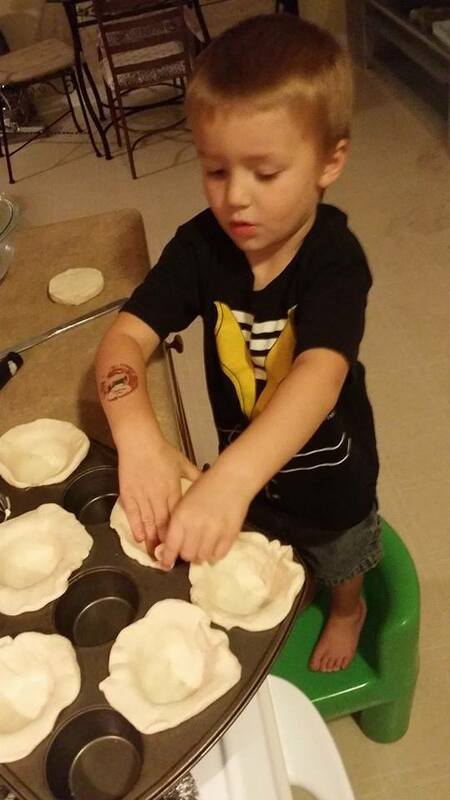 Pull the edges of the dough towards the center and pinch to hold in place. Bake for 22 to 25 minutes. Or til Golden brown. 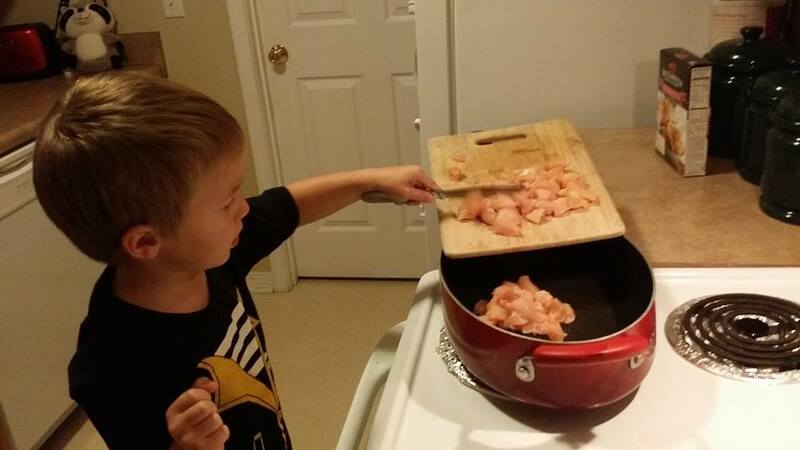 Xman is placing the chicken I cut up into the skillet to cook. all done and ready to eat. ENJOY as my son says. YUM MOMMY! As always Sending you all Peace Love & Happiness! Lauren Akin, the nerdy mama owl.